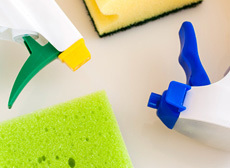 Nadia’s House Cleaning supplies a plethora of house cleaning and janitorial services to the residential and commercial community of the Greater Boston, Massachusetts area. Since 1986 we have been fully licensed and insured to deliver a superior quality experience. Nadia’s House Cleaning applies high moral standards and work ethics, friendly customer service and extraordinary execution on all services rendered. To complement our staff’s expertise and skills, we utilize high-end equipment and products exclusively offered to licensed professionals to ensure premium results. Hosting a grand event or a big holiday party is an exciting adventure, filled with lots of things to do. Your residential home in Boston, Massachusetts and surrounding areas is often the venue and with so much planning and preparation, there is little to no time to get your home sufficiently cleaned before guests arrive. With Nadia’s House Cleaning special event/holiday party cleaning service, we will be there to save the day. Our specialists are trained experts, which are thorough, methodical, and meticulous on the various duties associated with your holiday party or special event! After the party, your house or venue can be a total mess. Whether you have a hangover or not, when you need after party cleaning, Nadia’s House Cleaning can step in and get your house cleaner than before the special event and ready for the next gathering! –	Parties: Birthdays, anniversaries, holidays, sporting events, promotion celebrations, house warming parties, dinner parties and more. –	Vacuum, dust mopping, sweeping, and mop floors; with special focus on areas where furniture once stood that has been removed to make room for party goers. –	Hand wipe baseboards, doors, door knobs, and door frames free of dust, cobwebs, and other manner of debris. –	General dusting from ceiling fans to the baseboards, all surfaces are thoroughly dusted. –	Clean and shine sink, mirrors, vanity, and chrome fixtures to ensure a spotless and clean glow. –	Detailed toilet cleaning, sanitizing, and deodorizing. 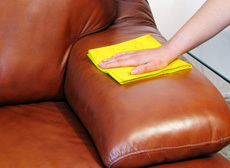 –	Wipe down furniture to remove any spots and vacuum upholstered furniture surfaces. –	Spot clean walls and fingerprints. Nadia’s House Cleaning caters to both commercial businesses and residential homes for their special event and holiday party establishments. 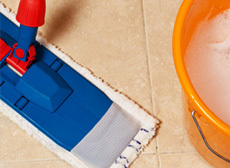 We offer a pre-cleaning to get your home or business prepared for your gathering. Nadia’s House Cleaning also includes post holiday party and special event cleaning to ease the burden of cleaning up after the festivities, whether it is same day or the next day cleanings for late night parties. We understand the need for needing your home or business cleaned for the event; and after. We apply our skills and expertise to ensure your home or business is clean and fresh. 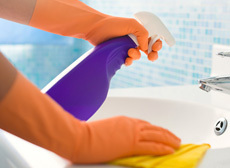 Nadia’s House Cleaning of Boston, Massachusetts knows cleaning, with our vast experience, advance training, and exceptional products and equipment, your residential home and commercial business is cleaned from top to bottom to offer a sanitized and deodorized level for a maximum quality cleaning. If you are holding a special event or holiday party inside your home or business, call in the cleaning experts at Nadia’s House Cleaning for assistance!